A man was knocked unconscious by a clown in a circus stunt which went wrong. Ben Garnham, 37, was left motionless on the floor after a clown landed on his head and said he was lucky not to have been paralysed. 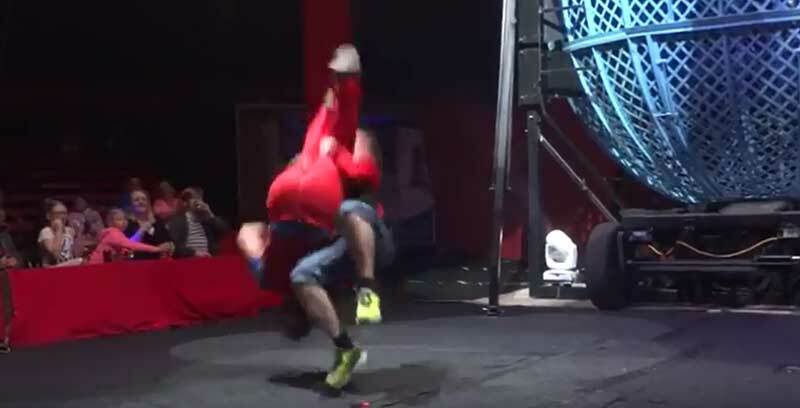 He suffered a cut head, swollen face and a headache and was taken to hospital after the accident at Circus Zyair's show in Blackwood, Caerphilly county, Wales, on Monday. Mr Garnham, of Cefn Fforest, Blackwood, went to the circus with two of his three daughters, Jade and Amber, and Jade's fiancee, Lauren. 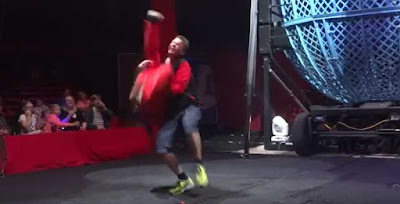 He was picked out of the crowd by the clown, Ben Coles, to take part in the show. The clown asked Mr Garnham to grab his legs before appearing to attempt a back flip, but landed on top of him and knocked the self-employed DJ out. Three other circus staff then rushed over and carried an unconscious Mr Garnham out of the ring. He said: "I was very lucky. I could have died or been paralysed. I don't blame the clown. What I was upset about was the way I was carried off. I was manhandled when I could have been seriously injured." He said the circus had offered to refund his family for their tickets and a free visit when it visits Carmarthen on Saturday - which he hopes to go to.